Christopher Ryan was admitted to practice law in the State of Florida in 1988. 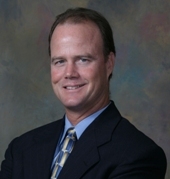 Mr. Ryan graduated from the University of Florida in 1981 with a Bachelor of Science Degree from the College of Business Administration. He earned his Juris Doctor Degree from the University of Florida College of Law in 1987, where he was a member of the Florida Law Review, President of the Environmental Law Society and a member of the Phi Delta Phi Legal Fraternity. He has been the attorney for the Town of Pembroke Park since 1992 and is Board Certified in City, County and Local Government Law. In addition to his representation of Pembroke Park, Mr. Ryan has represented clients before a variety of governing bodies, boards and agencies throughout Broward County. Mr. Ryan received the distinguished AV Peer Review Rating from Martindale Hubbell in 2006, for legal ability and professional ethics. Mr. Ryan’s other areas of practice include residential and commercial real estate transactions and business related issues. Mr. Ryan is a member of the Florida Bar, Broward County Bar Association and is Counsel for Broward Navy Days. Mr. Ryan served on the Broward County Historical Commission where he was the Chairman for four years and is the former Chairman of Wilton Manors Board of Adjustment.